Bart Stupak is a member of the Knights of Columbus. So am I, a Fourth Degree member and the Pro-life Chairman of my Council. For those who don’t know, the Knights of Columbus is a Catholic laymen’s organization with 1.8 million members worldwide. Our Degrees first through fourth respectively center on the lessons of Charity, Unity, Fraternity and Patriotism, respectively. We are especially attuned to being family and pro-life centered in our activities. We have a program that helps to purchase sonogram equipment for crisis pregnancy centers. Our Supreme Knight, Carl Anderson has written two stunning books in the area of rebuilding a Civilization of Love. We work hard at fundraising and supporting a variety of life-affirming charitable organizations, such as crisis pregnancy centers, and our more well-known sponsorship of the Special Olympics. Enter the Black Knights. Men such as freshman NY Congressman Michael McMahon, also a Knight of Columbus who is proudly pro-abortion. Add to his ignoble company the newest Black Knight, Bart Stupak. There is much talk about the pressures brought to bear on Black Bart as a possible explanation for why he might have folded. Such well-intentioned and charitable assessments miss the fact that Black Bart has voted in the past for funding Planned Parenthood. He also stated months ago that he would vote for this legislation even if his amendment failed. I blogged on this a few days ago. Read it here. Also, one may watch the video here. Black Bart didn’t come at this process with clean hands. He also came with a heart not in the fight and a mind made up that come what may, he would sell out the babies. What kind of foolishness is it to announce that if Obama didn’t accept the amendment, it wouldn’t matter anyway? How in Heaven’s name does that leverage the situation? It was political theater of the absurd from the beginning. The Black Knights understand what we Knights do for life. By his treachery, Black Bart has wiped out any gains that we have made, and sets back our efforts in the future, as government-funded abortion always creates a spike in abortion rates. By their treachery in voting to set up an international office under the Sate Department to promote international abortions, the Black Knights McMahon and Stupak have condemned untold millions more to their deaths. By voting against measures to restrict federal dollars in the hundreds of millions to Planned Parenthood, they have helped to strengthen the largest abortion provider in the US. These men are a disgrace to our Order, Black Knights who ought to be shunned by their brothers who labor ceaselessly for the unborn. Their black hearts have created this rupture. This wasn’t a matter of private sin or personal weakness. This was evil intent. Black Bart winked at Obama months ago. Had he acted like a man, a true Catholic and bother Knight, we would be living in a different nation today. I know very little about chess and am in reality a very poor player. But when God speaks I listen so it was with joy that I read your posts on the Knights of Columbus. When I go to the Lord in prayer sometimes he allows light to shine in on whatever I’m praying about. On one such occasion while worrying about the abortion issue what he spoke to my mind was knight. 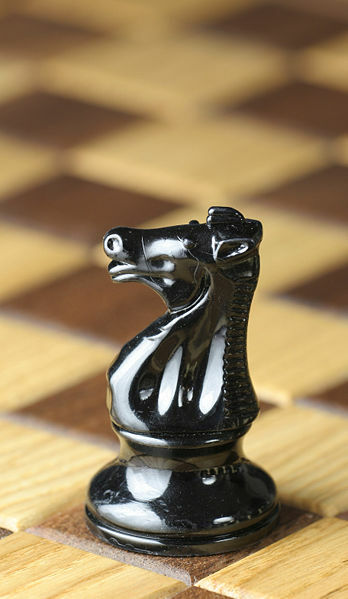 Now I did not think of the Knights of Colombus what came to my mind was the knight on the chess board. So when I read that a lot of the Knights of Colombus support life it made more sense. So be blessed you knights because it is impossible to outgive God. And I believe in serving God the greatest beneficiaries is not God but ourselves and humanity.